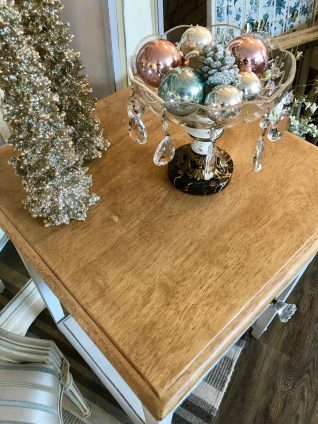 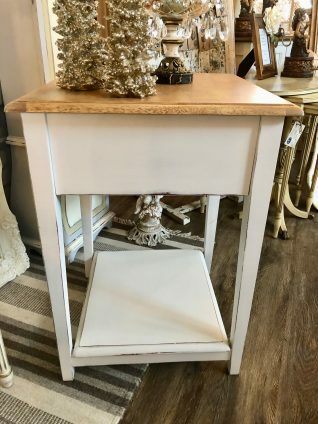 Simple but sweet solid wood side table that would be perfect bedside or living room lamp table. 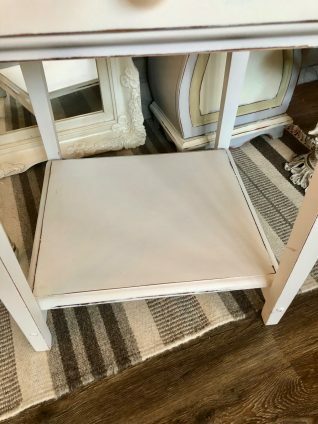 Has a shelf on the lower portion. 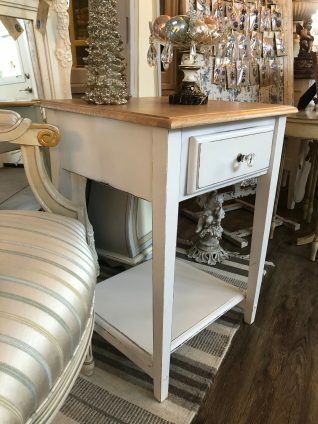 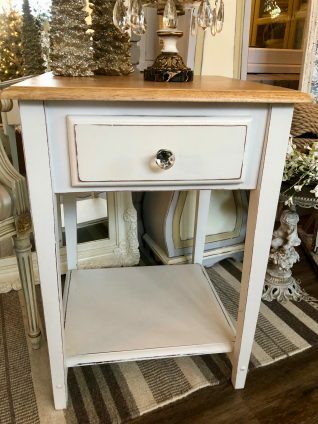 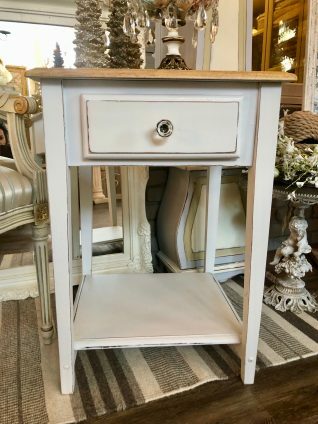 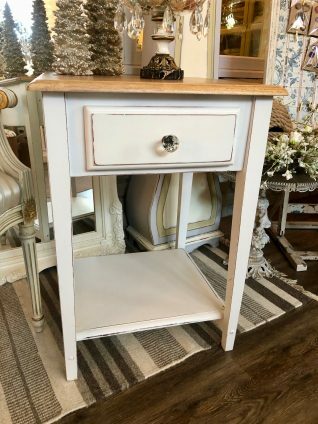 Painted fresh white with a natural finish wood top. 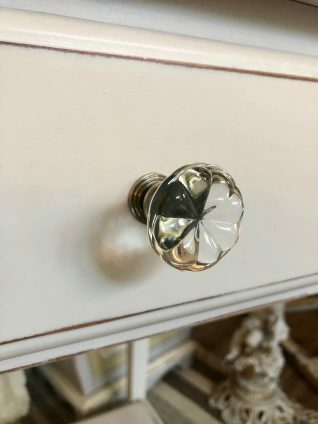 Single drawer with tulip shaped glass knob. 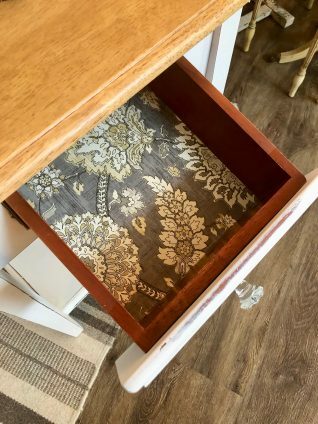 The interior is lined with pretty paper!